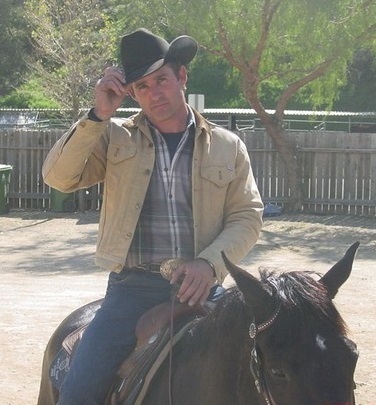 LOS ANGELES — Dale Gibson has thrown his cowboy hat into the arena as a candidate for the Los Angeles City Council, District 7 — a horse-laden area that covers the northeast section of the San Fernando Valley. It also sits on the map of a high-speed rail proposal that, if enacted, threatens to disrupt horse ownership along the route. Gibson, who started Gibson Ranch in Sunland along with his wife, Heather, in 1998, has a portfolio of equestrian advocacy that includes serving as current President of the Los Angeles Equine Advisory Committee. Trails, zoning and preservaton of open space have been common concerns presented by the EAC to the L.A. City Council since its inception in 2009, and Gibson says the urgency in his district for equestrian participation is stronger than ever. Equestrian-related concerns and the bullet train are two hot topics, and Gibson’s supporters point to the candidate’s track record of bringing together groups, getting input, and executing plans to fruition. Gibson, who also is a stunt man with several movie and television credits, has championed public causes over the years. He received consecutive “Customer of the Year” awards in 2013 and 2014 from the Los Angeles Department of Water and Power and Power after he had introduced a plan to use reclaimed water as a legal dust abatement resource. Because of this, reclaimed water is now legal all over state of California. He also was an innovative partner with L.A. City Departments working with the Department of Transportation to get Rapid Response Flashing Beacons installed. His experimental solar-powered crossing-light was first of its kind in the State, Brown said, beginning with an installation on Foothill, then Wentworth, and now throughout District 7, with both equestrian and pedestrian buttons. Gibson says accessibility is key in representation, and he will hold regularly scheduled meetings. District 7 neighborhoods include Pacoima, Lake View Terrace, Sunland-Tujunga, Mission Hills, North Hills, Shadow Hills and Sylmar.